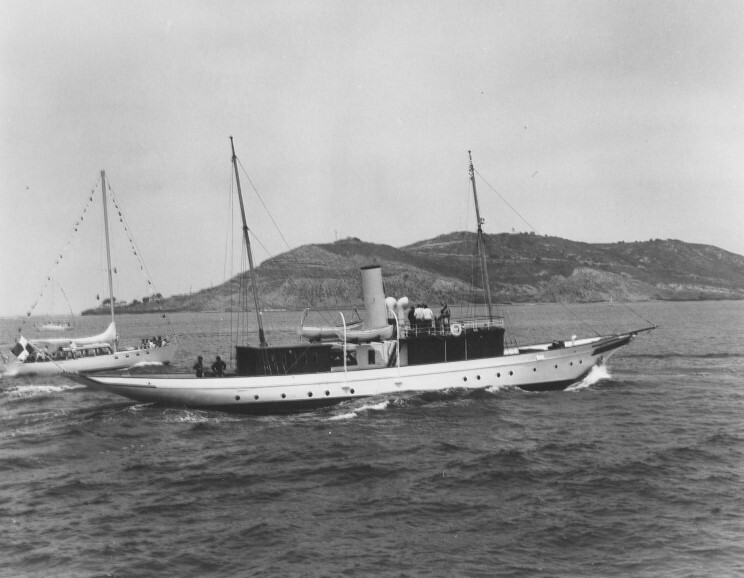 The steam yacht Medea entering San Diego Harbor. The Point Loma Lighthouse visible just forward of the foremast light. Most likely date is July 14, 1973 when she first arrived in San Diego.